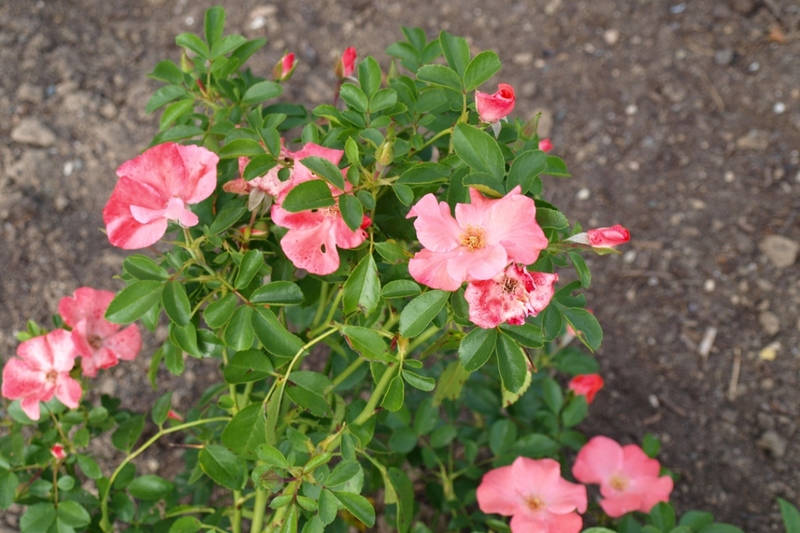 Ground cover rose (Rosa 'couvre-sol'): growing, planting, caring. 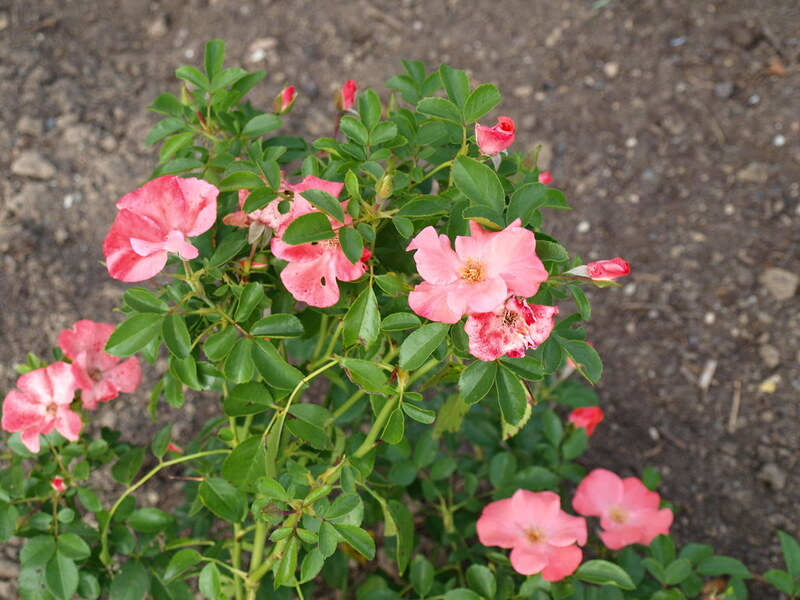 Ground cover roses - or « landscape roses » - are a group of low-maintenance and easy roses, with minimal pruning needs, natural pest and disease resistance and a lower growing habit. They have been developed in the late 20th century, when traditional hybrid tea and floribunda rose varieties fell out of favour with many gardeners and landscapers, as they require intensive care and chemicals. The so-called ground cover roses are "modern" roses. They carry bouquets of many single or double flowers. Some bloom on the previous year's wood only, while others are up-and-coming. The presence of flowers at one season or another does not help with identification. The most reliable criterion of recognition is their habit, since they form creeping stems, or climbing if they are trellised to a wall. Their leaves are composed of small lustrous and lanceolate leaflets. Creeping roses do not need to be cut very strictly. In February-March shorten the side branches that grow outward, and clear the heart by cutting dead woods.